Light bulb, most people love sweet and salty, right? I know I do! It’s a scientific fact that your taste buds transmit the sweet and salty tastes to your brain triggering different parts of the brain. These reactions in the different parts of the brain are what give us the pleasure of sweet and salty together. Why not mix up your brand story and marketing messages into sweet and salty morsels for your customers to gobble up (I don’t know that I like the word gobble but I’m going to use it here anyway). Here’s 3 ways you can mix with sweet and salty. Use opposing colors in your visual identity and representation: Color is very powerful in your branding and marketing because it is so emotional. Did you know that red (and several variations) makes people hungry? That’s why restaurants use red in their décor. Using colors that are opposites on the color wheel can work very well together like blue and orange. Sweet and salty. Partner with an unlikely vendor to provide your clients something completely different but amazing: This one may be a little tougher but opposites attract, right? Hence, sweet and salty. Recently, Ash Ambrige at the The Middle Finger Project released a FREE legal clinic for her audience. Technically, she’s in marketing and this is about legal business stuff. Sweet and salty at it’s finest. Two flavors that are completely opposite but work so well together, that’s what you’re trying to achieve. Life isn’t match-y, match-y and your business doesn’t have to be either. When looking at these messages keep in mind your target market because your messages should always be centered on them. But I bet you if you asked them, they might think its odd to have chocolate covered bacon but would love to try it. 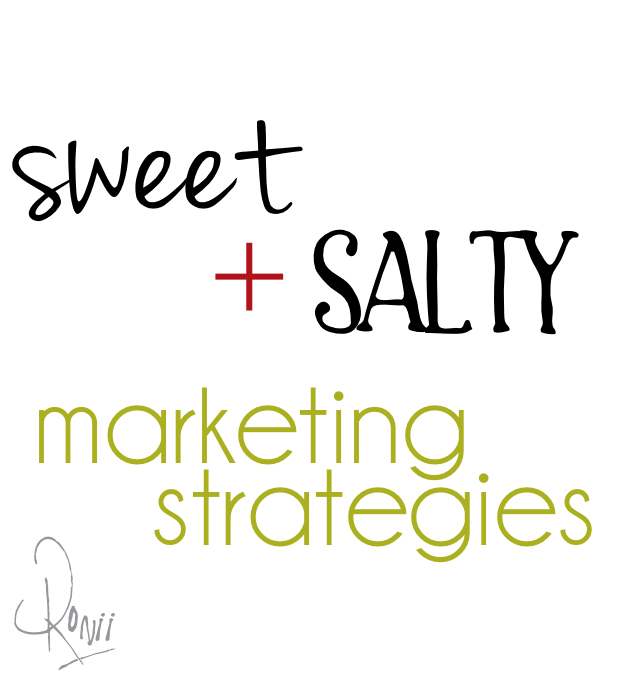 What are some of your sweet and salty ideas? We want to hear what you have done to mix it up in your business.